In 2 separate plastic food storage containers add beaten eggs in one, and panko crumbs with cajun spice, lightly stirred, in the other. Lightly dip the avocados in the beaten egg then roll them evenly with panko bread crumbs. 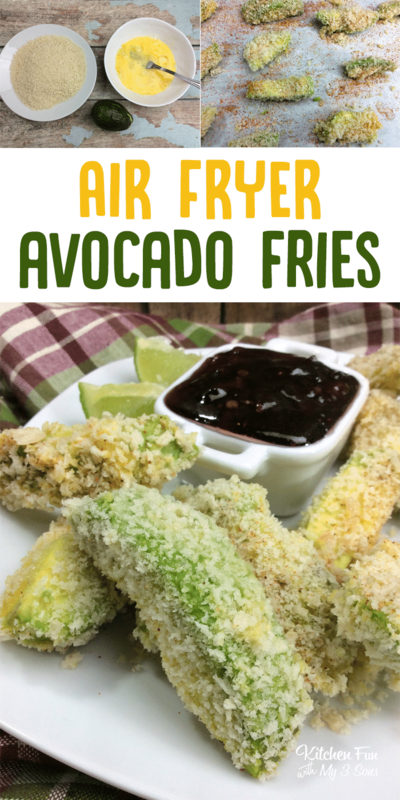 Place the avocado into the basket and slide it into the preheated Airfryer. Set the timer on the Airfryer for 6 minutes.